Previous studies have suggested that optimism is related to better cardiovascular outcomes and even optimism or a low level of pessimism protects people from heart disease. The study followed 2,267 men and women from Finland aged between 52 and 76 for over 11 years. In the scientific sense, optimism and pessimism focus on attitudes towards the future. They are about expecting that many good or bad things, whether possible or impossible, will happen. The test includes questions like “in uncertain times, I usually expect the best” or “if something can go wrong for me, it will”. Participants in the top 25% of scores on pessimism were more than twice as likely to die of heart disease than those who scored lowest on pessimism. 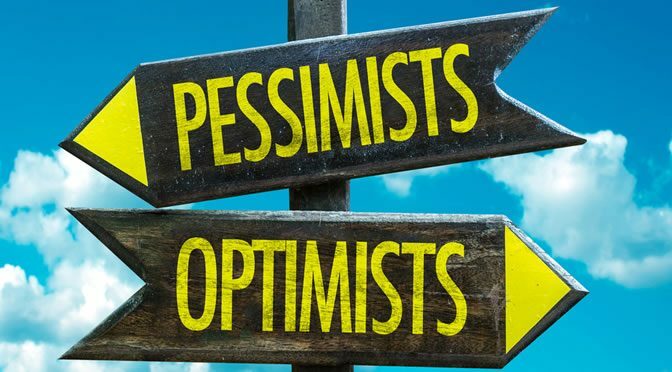 However, optimists who have a ‘glass half-full’ attitude were not protected against mortality caused by heart disease, but did better than pessimists, the study added. “With pessimism, we know that there is an increase in inflammatory hormones and stress hormones. And that likely affects the heart, leading to heart attacks and atherosclerosis. Dr Steinbaum suggests that behavioural therapy can help pessimistic people since this type of therapy helps people to think differently. The study was published in journal BMC Public Health (Pänkäläinen et al., 2016). Previous Post6 Easy Ways To Improve Your Health Right NowNext PostShould Children Drink Full-Fat Or Skimmed Milk?